Bozeman-based splitboard company Spark R&D takes pride in their soup-to-nuts production, making all of their bindings in house since their 2006 founding. And in an effort to reduce the company’s footprint and manage even more of their manufacturing needs, Spark R&D is now entering into the world of renewable energy so they can source their power in-house, too. The company—which caters to those pursuing human-powered recreation—is now able to cover around 25 percent of their power using 166 solar panels installed on their facility’s roof. For a business that’s growing by at least 10 percent every year and that produces everything down to the tiniest screw, this project highlights Spark R&D’s focus on smart and sustainable growth. For owners Will and Becca Ritter, the idea of installing solar panels has been a long time coming—ever since they bought their 12,000-square-foot building in 2016. 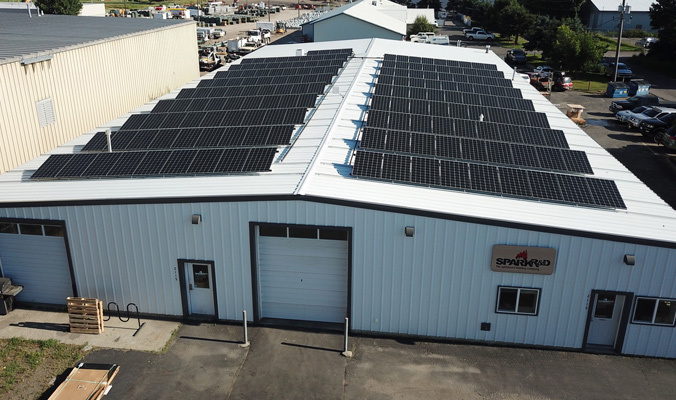 Spark R&D brought in local solar company OnSite Energy, Inc. for the project, who not only provided general plans, but also recommended Spark R&D apply for a USDA Rural Energy for America Program (REAP) grant, which aims to help small businesses in rural areas. During the lengthy two-year grant application process, Spark R&D continued to add more machines and ramp up their energy consumption. “It’s a federal program with a lot of paperwork, and a lot of noise comes along with it, but we are thankful to do it all,” says Becca. And the process is well worth it; Spark R&D now has one quarter of all associated costs covered. 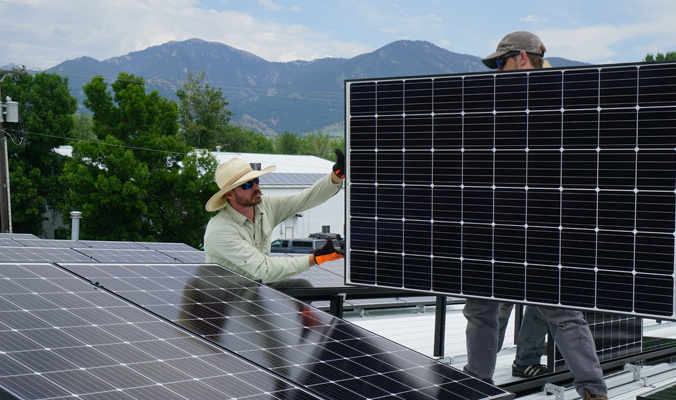 In one workweek, OnSite Energy Inc. laid the infrastructure and solar panels on Spark R&D’s rooftop within view of the Bridger Range. While this project is a big step for the small company, the Ritters have their sights set on a brighter future; 166 panels could be just the beginning for Spark R&D’s solar array. Currently the Ritters are working to install panels that will allow them to produce 50 kilowatts of energy, but for now, that is the most energy they will be able to produce. Becca spells out the issue that “there’s a law in Montana where your solar cannot exceed 50 kilowatts of generated power if you’re tied to the grid, which we are.” Their fingers are crossed that this law will eventually change so that they can expand solar panels across the remainder of their rooftop. 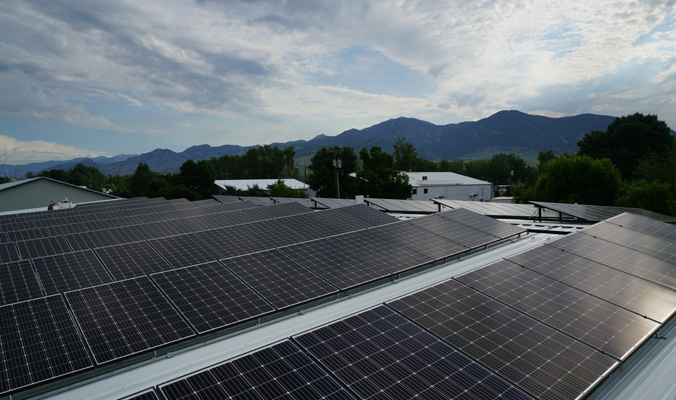 Despite Montana’s current solar laws, this project remains an energy boon for the company. “It’s fun to watch the solar component come into play, because it makes perfect sense for Spark as far as keeping everything in house is concerned. Producing our own power certainly goes in lockstep with that,” says Dan Ventura, Spark’s Marketing Manager of three years.